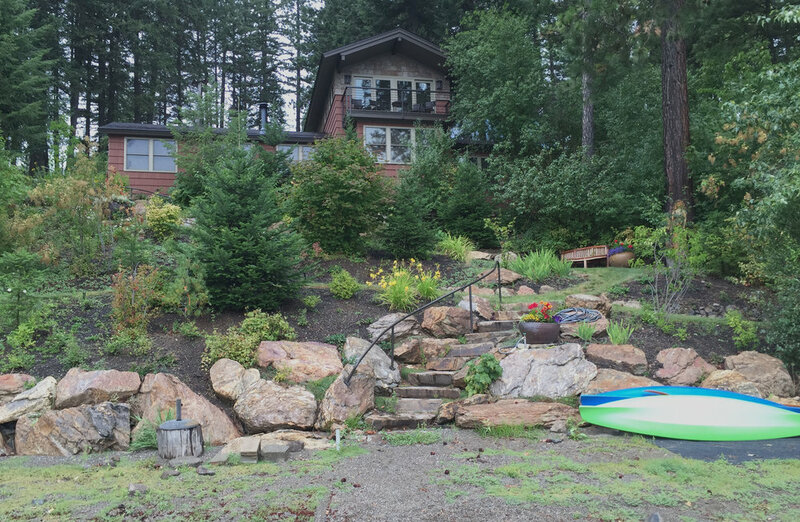 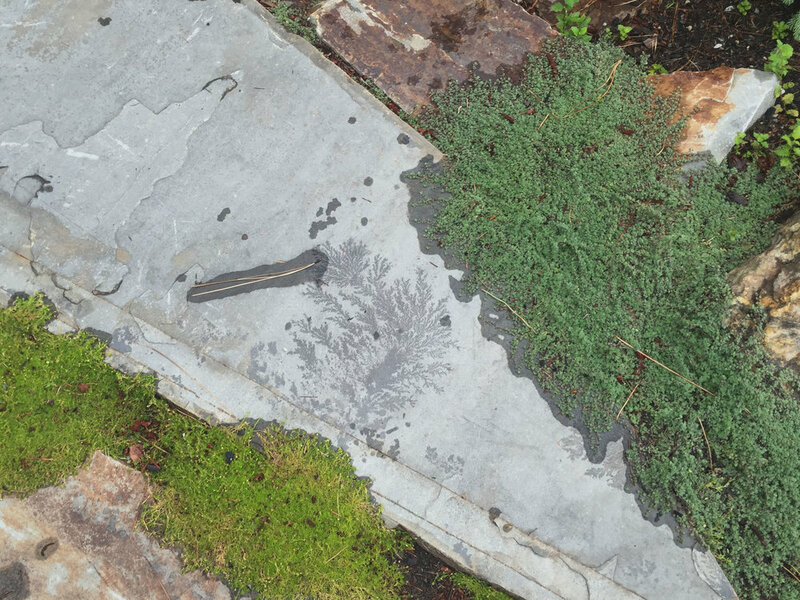 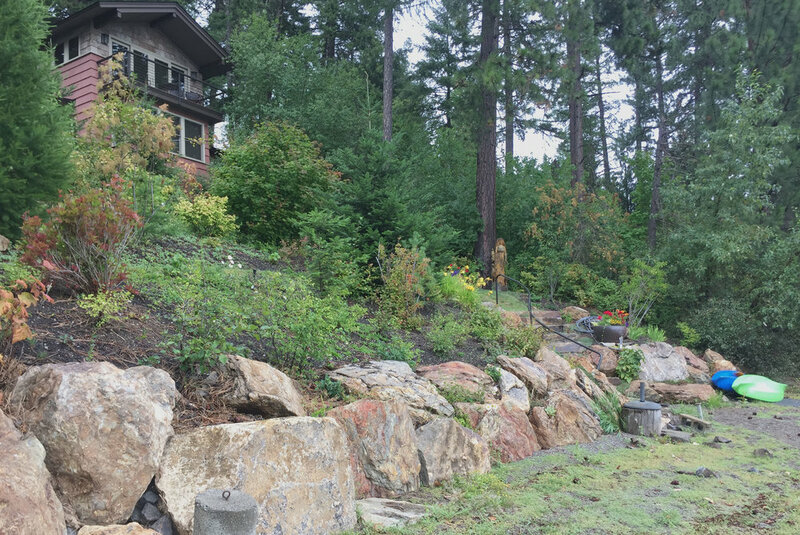 After working with us on landscape projects at their home and business in Spokane, these homeowners turned their attention to their retreat on Spirit Lake in North Idaho. 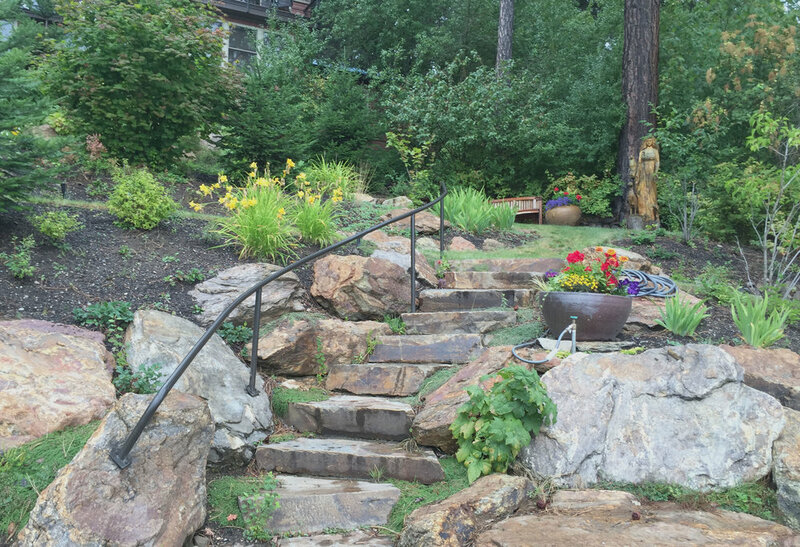 A flagstone patio adds cozy entertaining space near the house, while natural stone steps and mown paths add safe access up and down the hillside to the beach. 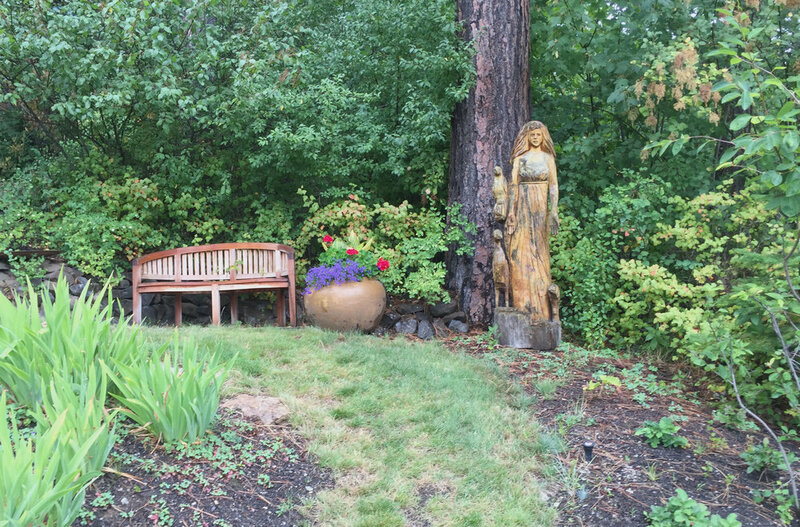 Native plants form the backbone of the landscaping, with planting pockets for colorful annuals arranged throughout.